Language and communication play an essential role in Hlynur Hallssons’ works. But despite this, Þetta er það – Das ist es – This is it – is the first exhibition which he composed solely from textual works. 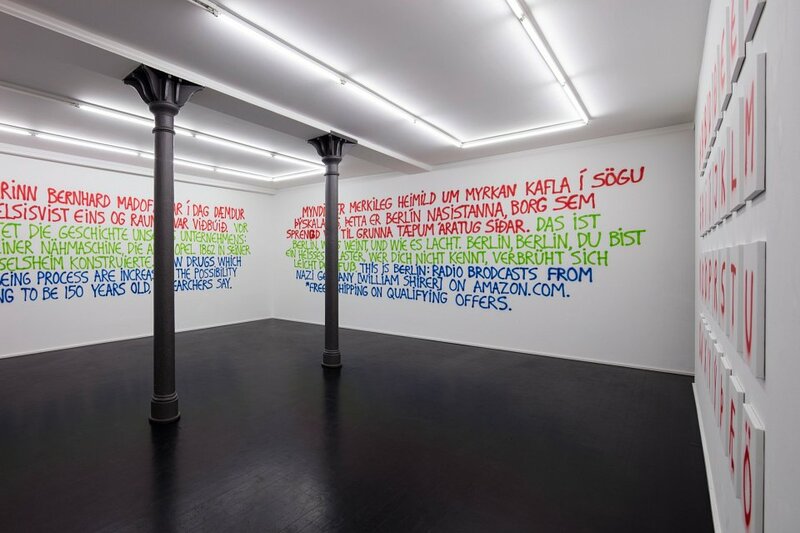 In the conceptual and purposeful multilingualism of his works, he confronts himself not only with the semantic difficulties of communication surrounding the work of art, but also with the cultural preconditions of – and multifarious opportunities for – interpretation. 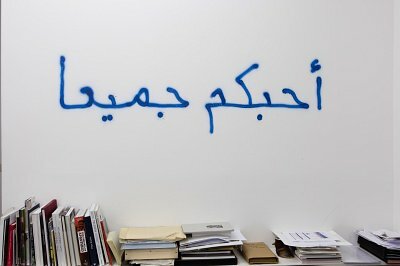 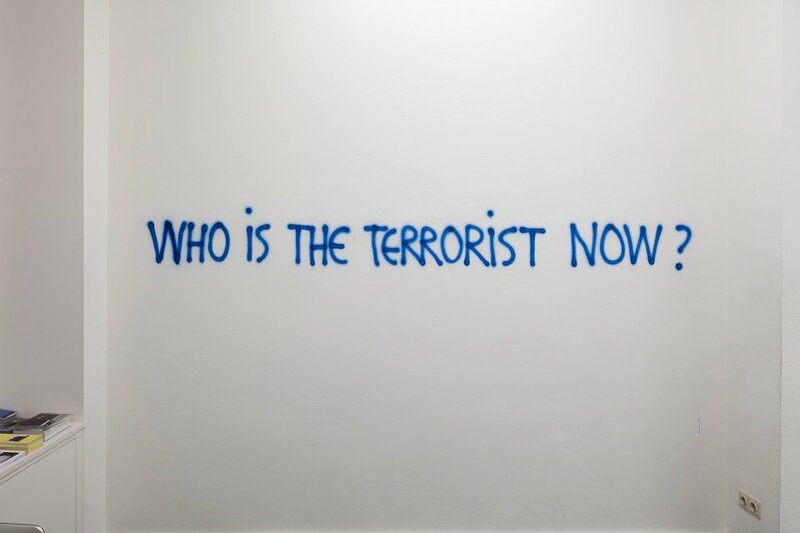 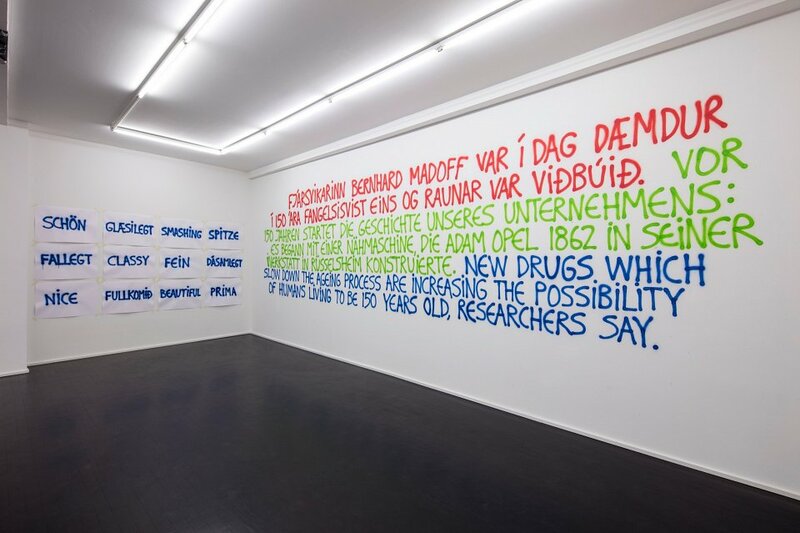 From the start, the exhibition title betrays the fact that the multi-layering of language and the shifts in transferring language are main foci of interest in his debate with text. 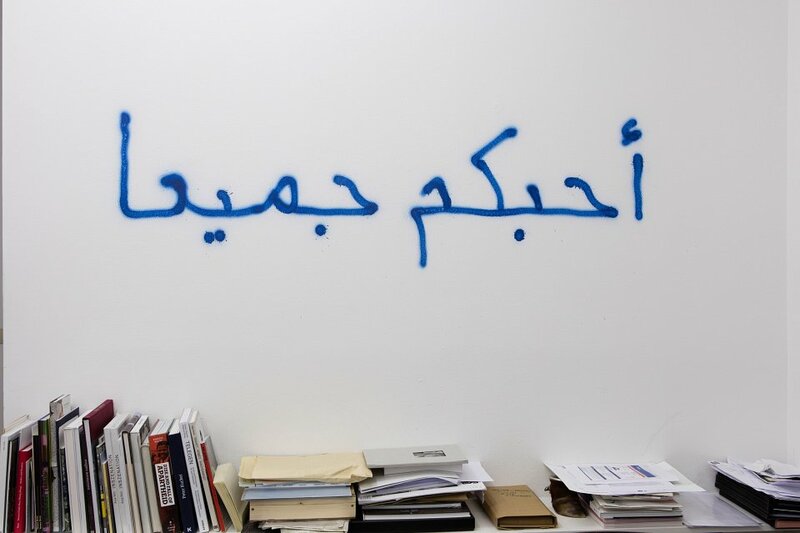 This can also be interpreted as an expression of his way of living in a globalized internationality. 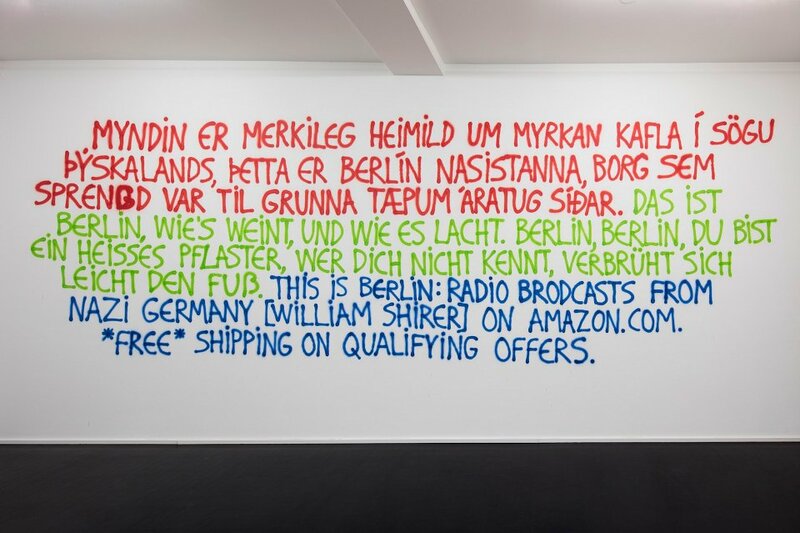 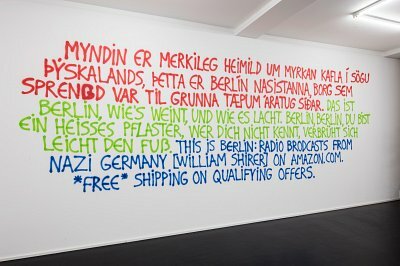 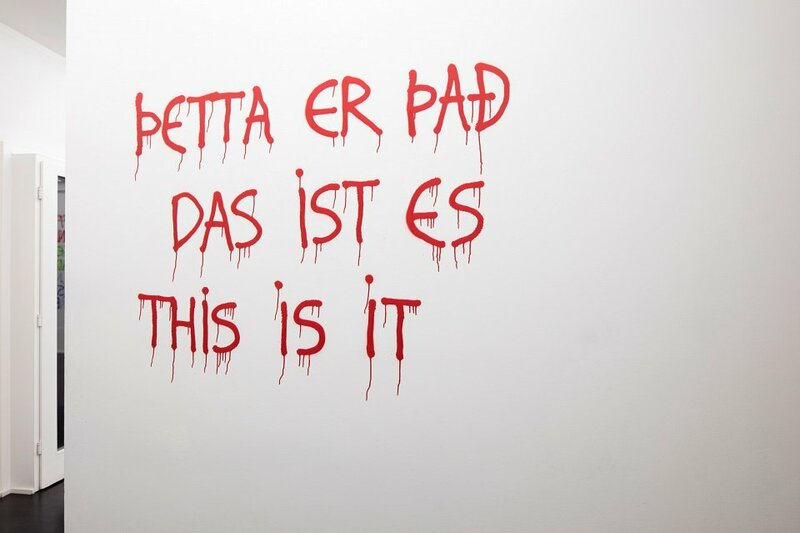 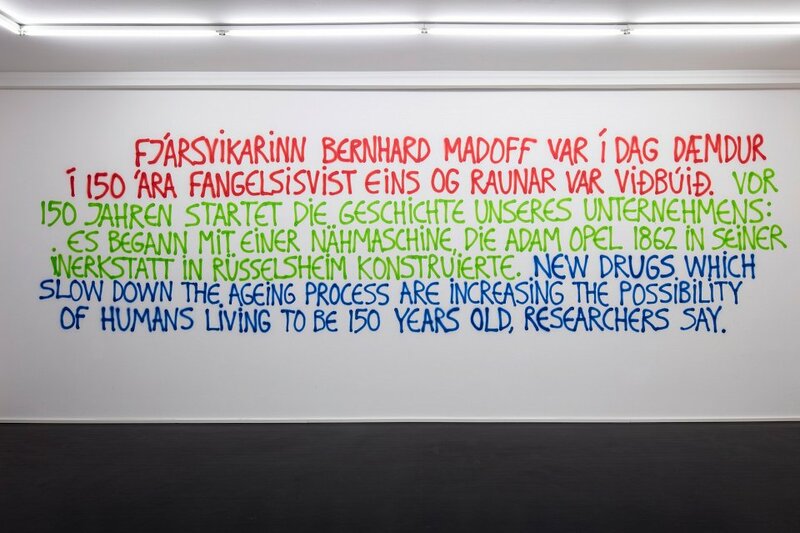 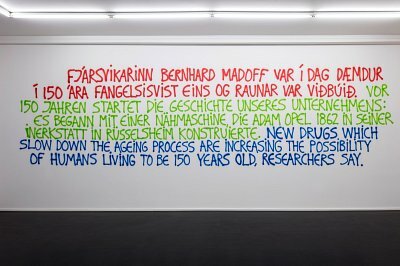 When he occupies himself with the subject of “the word as image”, he shows his exhibition Þetta er það – Das ist es – This is it, a work that apparently deals with the basis of written language. 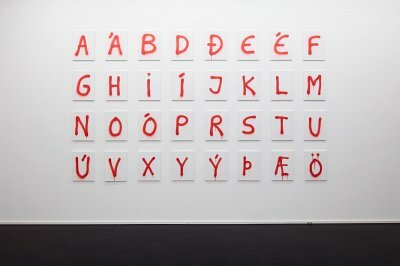 His alphabet of the Islandic language consists of 32 characters and unites the familiar with the alien. 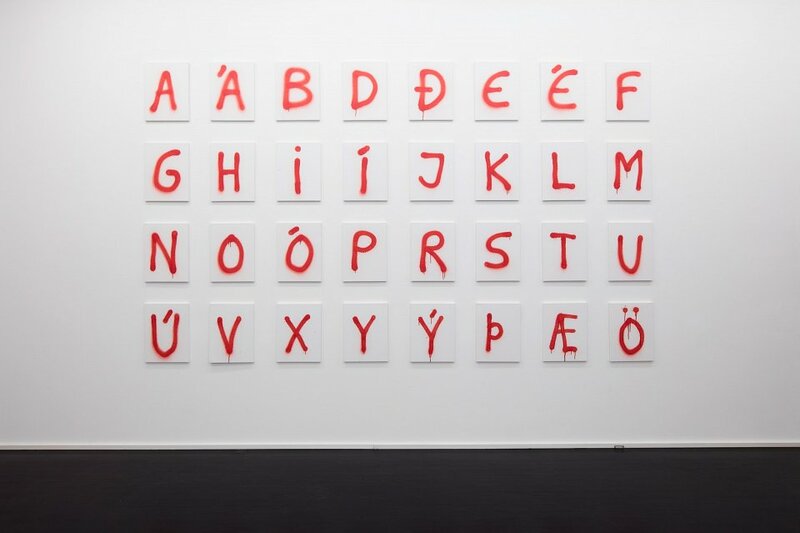 The familiar characters offer the viewer the sense of recognition, while the unknown letters bear within themselves the promise of something new. 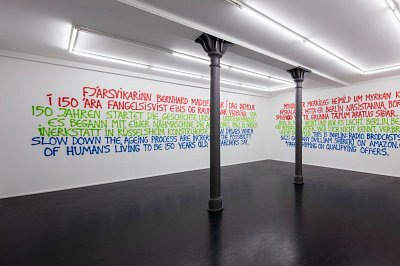 The work is like an invitation to grasp both the origin and the home of these symbols. It is a return to the very core of things, comparable with his earlier photo-text works, which serve in places as a fragmented diary and, at the same time, as their antithesis. Here, too, Hallsson uses spray paint to emphasize the element of transience.